As some of you might already know, a few months ago, I reached a major milestone in my life with the purchase of Amazing Spider-Man #3. With that acquisition, I achieved my goal to own every ASM issue (Nos. 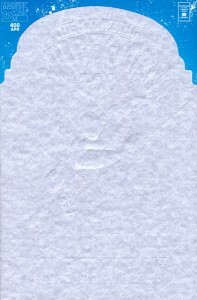 1-700). The “chase” in Chasing Amazing was effectively over. I had been purchasing and reading comic books for a few years before I finally decided that I would become a collector. I wasn’t a newbie to collecting. 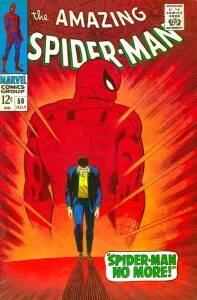 As a young kid through my early teens, I was an avid collector of baseball and basketball cards, often putting aside the more expensive individual cards ($5 or more) in a special box I designated my “valuables.” For whatever reason I never thought of comics books as holding monetary value until I was in junior high school when I learned that some issues of Amazing Spider-Man that were illustrated by Todd McFarlane were selling for a pretty penny at shows and conventions (more on that in a bit). I picked up a copy of the Wizard price guide and saw just how much many of these issues were worth — especially the older ones from the 1960s and 70s. After Christmas, I went to a local comic book shop that dealt with back issues and asked for the oldest edition of ASM they had. 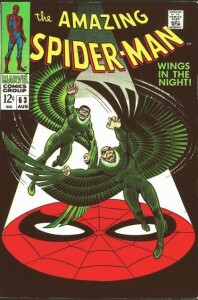 When he pulled out ASM #63, I was immediately struck by the two Vultures on the cover. But to be totally honest, I purchased it because it was OLD and that was all I was after. 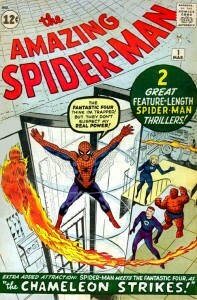 Still, having that first Silver Age issue in my collection suddenly gave me an air of legitimacy. I could brag to the kids at school that I had something from the 1960s. Because, you know, that stuff actually matters! You don’t always have to be smart to be lucky. Sometimes you just have to be in the right place at the right time and be standing next to someone who’s as desperate to get the heck out of there as you are to be purchasing what he’s selling. Please note that I’m a terrible negotiator —I tend to just agree to whatever the seller is charging. I don’t know how I was able to purchase so many comic books with such a dull philosophy but to each his own. But this time around I scored a victory at the bargaining table. I was at a small convention at a hotel when I was in junior high. I had a few week’s worth of allowance crumpled up in my wallet and the end of the show was approaching. I flipped through a longbox and found a copy of ASM #40 in mid-grade condition that I thought I could afford. Just to be safe, I asked the guy if he could knock a few bucks off. He obliged. Then I grabbed the money out of my wallet and realized I was about $10 short. I looked sorta befuddled and the guy decided to just take my money and call it a day. 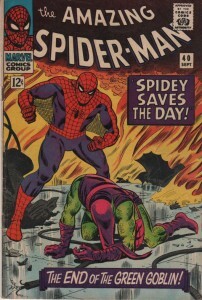 And that’s how I scored my first bargain on a Silver Age issue — without even meaning to! Collecting comic books has always been a personal experience for me, but one of the added attractions of the hobby is how it managed to connect me to other like-minded people. That’s been the greatest benefit of Chasing Amazing, but years before blogs were even a twinkle in somebody’s eye, I got my first sense of the comic book collector’s community via an awesome memorabilia shop near my hometown. The store primarily dealt in sports memorabilia, but there was a decent amount of comic book paraphernalia, including a wall of new releases every week and a dozen or so long boxes filled with various back issues. I had been a regular customer of this pace for years — for both baseball cards and comic books — when the ASM series was quickly approaching issue No. 400. Of course this was in the midst of this strange new story involving the arrival of Spidey’s clone, but I was still excited all the same for what ASM #400 might offer. I asked the store manager if I could pre-order TWO copies of ASM #400 (one to read and one to collect) and I think the guy got a kick out of how desperate I was for this one comic. The night BEFORE the comic was released, he called me up and said the shipment had arrived and if I got there within the hour (before the store closed), he let me get my copy AHEAD of somebody else. Maybe in retrospect I was being presumptuous, but getting that phone call made me feel like I was a part of something bigger. That my passion for comics was so apparent and obvious, that even the manager of a little memorabilia shop noticed. Those of you who’ve been following Chasing Amazing from the very beginning know that my wife has long been my partner-in-crime during my quest to collect every issue of ASM. She’s purchased me a number of issues for major holidays and birthdays (more on that in a bit), but more importantly, she supported me for nearly every step of my journey. A lot of people who read this site have commended me for marrying such a great, understanding person, but I can plainly say if you truly knew our dynamic, you’d realize that her support isn’t something forced but just a reflection of who she organically is. 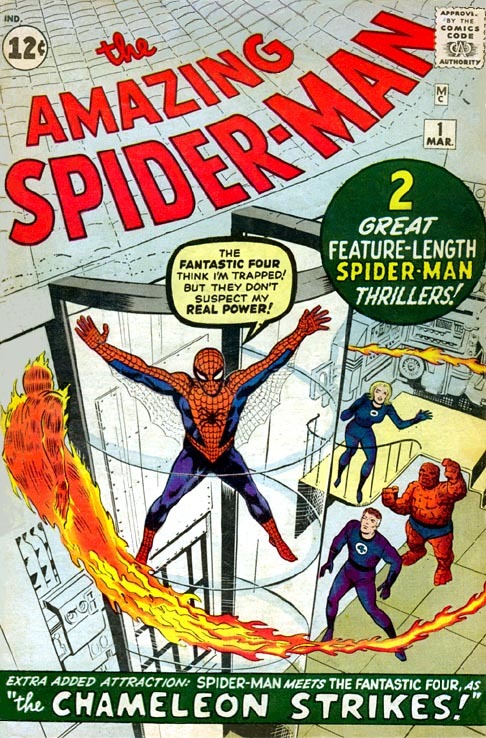 With that in mind, my purchase of ASM #59 will always stand out to me because of the way my wife played to certain industry stereotypes to help me acquire it. For more context, it’s worth noting that this comic features some vintage John Romita cheesecake on the cover — a stunning Mary Jane Watson, dancing in a short dress and go go boots. 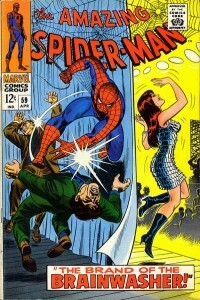 By virtue of her red hair, my wife has often been compared to MJ, especially by people who know I love Spider-Man. She came with me to a small comic book show and just before we got ready to leave, saw me inspecting a copy of ASM #59. I really wasn’t looking to spend the asking price on it, but she asked if she could try and get a better deal for me. All I remember is her pulling away from me with the comic and talking up the vendor, flipping her hair and batting her eyelashes in over the top fashion. The guy agreed to knock one-third of the price off and after she pretended not to be able to do math, I got it for nearly half off. I love this story because it not only demonstrates the non-stop fun my wife and I have as a couple, but it also exposes utter cliche-ness of the comic book collecting community. Having breasts and long eye-lashes shouldn’t really result in paying nearly 50 percent less for a comic, but in this instance, it did. This purchase didn’t just involve one issue. 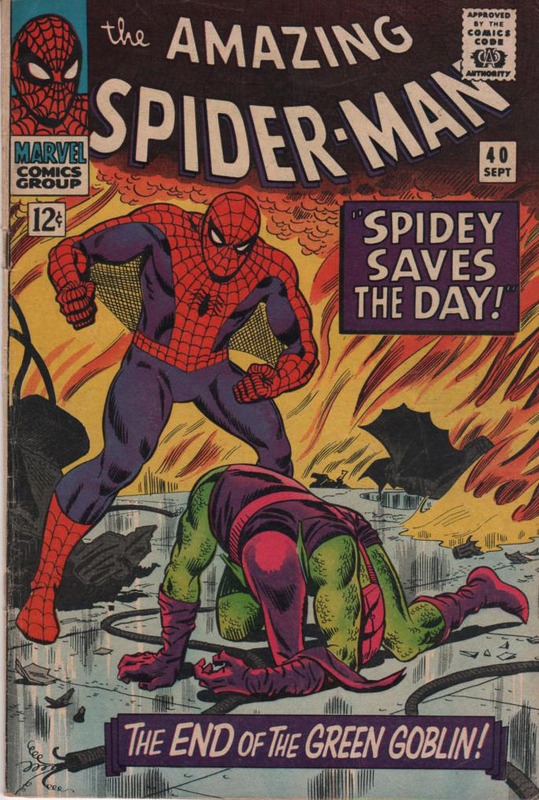 In one fell swoop, I had acquired more than 100 ASM issues (mostly in the 200s and 300s). A friend of my wife’s (who at that point, was just a girlfriend), found out that I was a comic book collector. As a passionate comic book guy himself (he’ll remain nameless, but he’s actually working in the industry now and many of you have probably read his stuff), he went through the excess stock at the comic book store where he worked, used his employee discount, and delivered to me a short box (and then some) of comics. 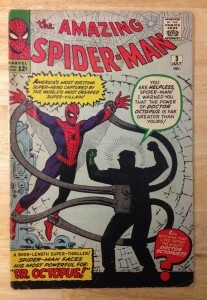 There were some really great issues in this collection, including ASM #238 (first Hobgoblin), ASM #252 (first black suit) and ASM #298 (first Todd McFarlane), but this purchase makes the cut because it’s the acquisition that truly jump started my collection to the point that I could even entertain getting every single issue of ASM. Years later, whenever I see this guy, I still thank him profusely for putting me in a position to achieve a lifelong dream. Sometimes love is better the second time around. The legendary ASM #300 was actually one of the first comics I ever picked up at the local candy store, saving up my allowance so I could afford the special double-sized price ($1.50!!!). 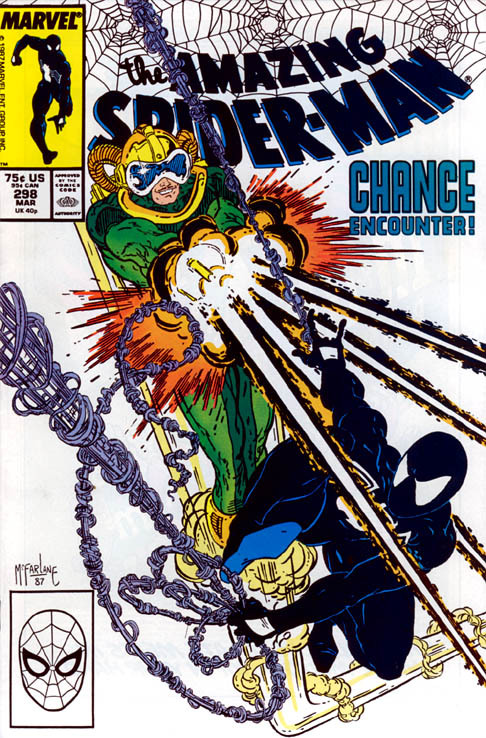 It’s the comic that officially hooked me on the medium, especially as it related to Todd McFarlane’s dynamic art and the swagger just oozing from the issue. And of course we can’t forget it’s the first appearance of Venom — a truly great Spidey villain (for the time). I loved this issue so much I read it into a pulp. I was just a kid — what did I know? Well, years later, I learned that the comic was worth a serious chunk a change; much more than $1.50 I paid for it. 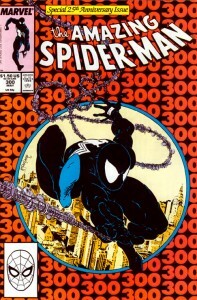 Every time I went to a comic book convention, I would stare at somebody’s copy of ASM #300 and just kick myself for being so careless as a youngster. Well, after months of canvassing hotel ballrooms, comic book stores and old VFW halls, I found a very reasonably priced copy and snatched it up without even thinking twice. Not the most exciting acquisition story, but the satisfaction I feel for owning this comic again— especially as its price continues to increase — is unparalleled. My chase for every issue of Amazing Spider-Man began, innocuously enough, because I wanted to copy my older brother and buy the same comic book as him at the local candy/newspaper store in my hometown. That store is long gone by now, but I still have that issue of ASM #296 as part of my collection despite the fact that it’s “well worn” (aka, used and abused) and it would cost me probably about as much as the cover price (75 cents) to replace it. But my attachment to this comic is about much more than monetary value. This is the item that forged a connection between me and a medium that would last me for the rest of my life. 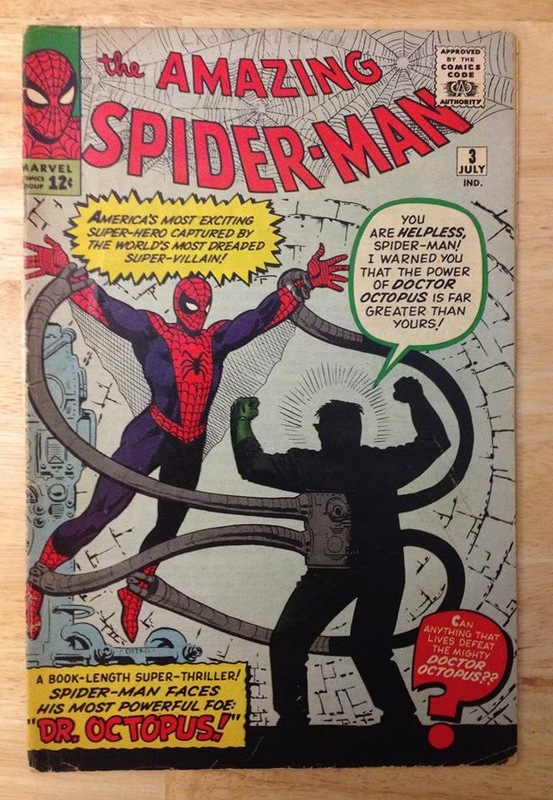 I honestly can’t tell you all that much about the plot — this was around the time Doctor Octopus was too scared to fight Spidey — but what I do remember is how the paper felt between my fingers the first time I held this comic, and how the image of the oversized spider attacking Doc Ock on the cover sorta scared me as a little kid. Years later, I would meet the comic’s penciller, Alex Saviuk at New York Comic Con, and the first thing I told him after introducing myself is how his work would go on to inspire me in some very unexpected ways. Alex was clearly touched by my sentiments and even remembered me when I saw him at the very same con a year later. You’ve probably noticed that the presence of my wife can be found all over this list. But this is probably my favorite story involving her and my quest. Before our first wedding anniversary, we had agreed to give each other thematic gifts based on the fact that the one-year mark is considered the “paper” anniversary. I purchased her some tickets to a play — tickets are paper, right? She got me something much more personal. Without even realizing it, a few weeks earlier, she got me talking about some of my favorite issues of ASM and I mentioned ASM #50. I told her all about John Romita’s famous cover, and the great story about Peter quitting his superhero gig because he wanted to live the life of a normal teenager. 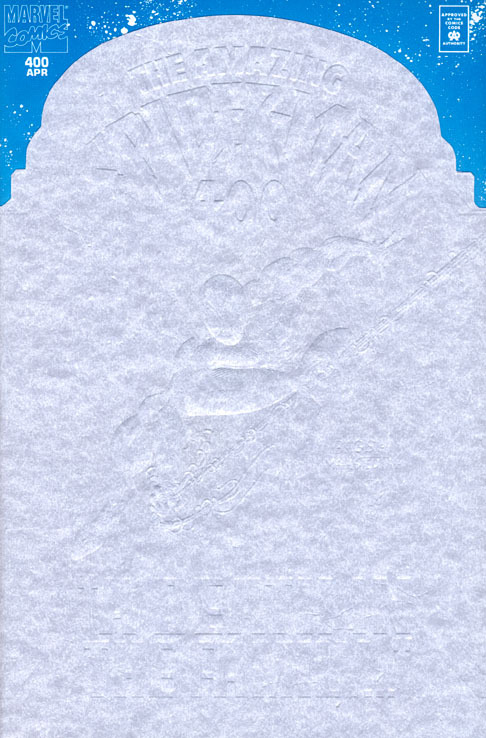 When it came time to open my gift, to my shock I found a copy of ASM #50. Never in a million years did I expect to find a comic book, no less one of my favorite single issues of all time. No matter what, my copy of ASM #50 will always remind me of the wonderful love my wife and I share, and the strength of our marriage — which has only gotten stronger with the birth of our son more than three years ago. Life can be tough sometimes, but when you got someone you can rely on, laugh with and love like what I have with my wife, it’s all much easier. There’s a certain reality show that deals with comic book collecting that I won’t name for vague contractual/legal reasons, but I’m sure most of you who read my site can figure out what I’m talking about. When I saw a casting agency advertising for “talent” to audition for this show, my wife and I sent in our applications on a whim. My wife has legitimate theatrical experience and would be a total pro on a show like this, while I was the somewhat awkward guy who was chasing after every issue of ASM. We both expected absolutely nothing to come out of it. So you can imagine how shocked we were when we got a call and it quickly became clear that we were going to get an opportunity to film a segment for this show. The episode never made it to air — something that still befuddles me to this day because I thought my wife and I really hit the segment out of the park. She was personable and ballsy (in a good way that makes for interesting TV), while I was earnest and passionate. Regardless of the outcome, my purchase of ASM #1 was quite real and it’s an experience that I will always remember for a number of reasons. For one, outside of purchasing my first car, I had never dropped that much money on a single item in my life and the fact that I had to negotiate like hell to make it happen was one of the most stressful things I had ever endured. Considering we shot and re-shot that sequence about four times, I’m almost embarrassed to admit that my body was still quivering from anxiety when we left the production studio and went to go have lunch and celebrate our unexpected purchase. On a deeper, more psychological level, my purchase of ASM #1 was the telltale sign that my quest to collect all of the Amazing Spideys would eventually be coming to an end. You don’t spend that kind of money on a hobby only to give up at 99.5 percent of the way there. Still, I would have loved it if that footage saw the light of day, not just to have physical evidence of how possible it is to simultaneously experience euphoria and severe distress, but also because my wife was such a superstar during that negotiation. This list ends as inevitably as my quest to collect every issue of ASM. That’s not to sound so cocky or self-assured. There was definitely a period about 10 years ago where I didn’t think I would ever have the time or financial resources to follow through on my desire to chase amazing. But after lucking my way into some acquisitions, and of course landing a coveted ASM #1, I knew that one way or another I was going to finish this damn collection. Part of what I love about this specific purchases was how spontaneously it came together. I got a text message from my good friend (and podcast co-host) Dan Gvozden that someone he knew in a collector’s group on Facebook had a copy of ASM #3. I half-heartedly reached out to the seller expecting either the comic to be too expensive, or in deplorable condition. When it was neither, I suddenly realized that the light was on and my opportunity to end 25 years worth of questing was near. As an added element of stress, my wife was actually out of town at the time this all went down. So I texted her, then called her (when she didn’t reply immediately) because I wasn’t going to do this without her blessing. As I waited and waited to finally connect to her (to be fair, it was like 15 minutes), my heart was racing from anxiety. Once I got her on the phone, I then expected the seller would have moved on from me. It obviously all worked out, and I now own every issue of Amazing Spider-Man. My post about the experience says it all, but obviously this was a tremendous moment for my life, rivaled by only a few other things (marriage, birth of child, graduating college … am I missing something?). Thanks for a wonderful, heartfelt post – such memorable moments, and what a great relationship you and your wife have. Congratulations!